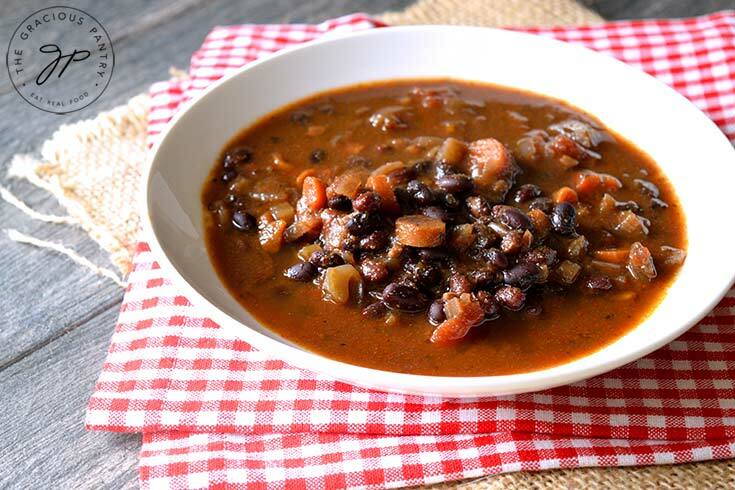 This clean eating Instant Pot black bean vegetable soup is a quick, easy dinner using dry beans! We’ve really be struggling with the air quality around here with the California wild fires. My chest hurts, I have a constant cough and we both have to wear #N95 masks for a quick trip to the garbage can to take out the trash, never mind going anywhere. I’ve been holed up in this house for days now trying to avoid the smoke, and to say Mini Chef and I are going stir crazy is an understatement. The only thing keeping me sane is the fact that I can still cook, despite having a gas stove which supposedly makes the air quality in your home worse in these types of conditions. Lucky for me, I have an Instant Pot and a few other kitchen gadgets that still allow me to get dinner on the table. Truly, my Instant Pot has been my savior as of late. It cooks everything! Needless to say, a little comfort food is in order with all this going on and so I decided to make a pot of soup with what I had on hand, because a trip to the store is not an option with the air outside in the danger zone. Thankfully, this turned out to be a simple soup with simple flavors that Mini Chef and I both enjoyed. It’s not one of those soups that will bowl you over with flavor explosions, but rather a nice, gentle, comforting soup that helped us feel a little more settled being at home. 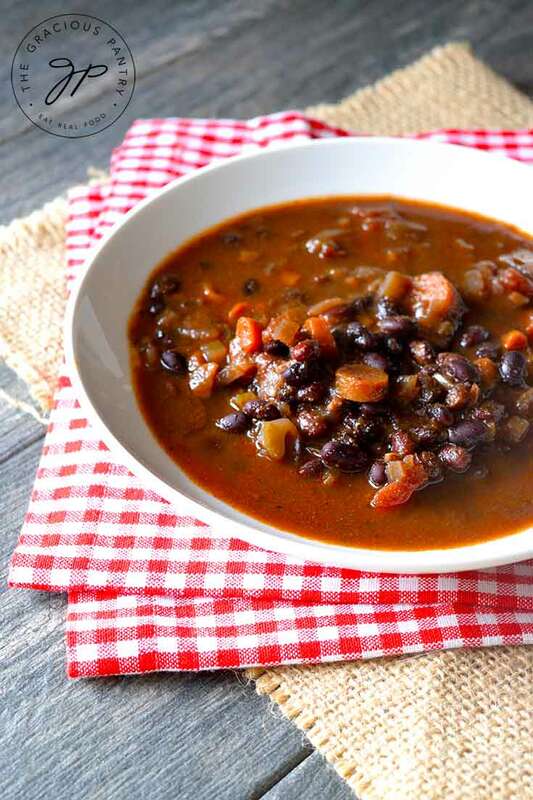 A simple, delicious soup straight from your Instant Pot! Prepare your vegetables and add them to the IP insert with the oil. Press the "Saute" button and saute until the onions become translucent. Pour in the remaining ingredients and stir. Turn off the IP, then press the "Manual" button and adjust time to 40 minutes. Allow a 20 minute natural release, then open the valve an allow any remaining steam to release before opening the lid. If you are using the arrowroot or cornstarch to thicken, whisk it in quickly while the soup is still hot, being sure to whisk out any clumps. Allow soup to sit for 10 minutes or so, stir and serve. Serve with a slice of crusty garlic bread. 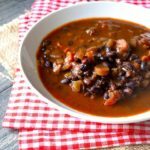 How much beans are in this recipe? I do not see any listed. Heidi – Sorry, just fixed that. Thanks for pointing it out!